At first, I saw God as my observer, my judge, keeping track of the things I did wrong, so as to know whether I merited heaven or hell when I die. He was out there sort of like a president. I recognized His picture when I saw it, but I really didn’t know Him. 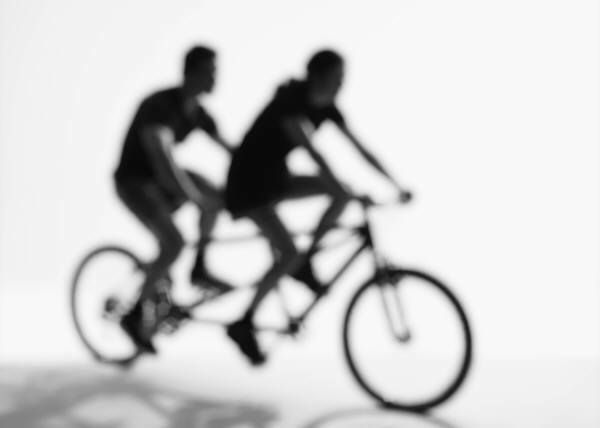 But later on when I met Him, it seemed as though life was rather like a bike ride, but it was a tandem bike and I noticed that He was in the back helping me pedal. I don’t know just when it was that He suggested we change places, but we did and life has not been the same since. When I had control, I knew the way. It was rather boring, but predictable and it was the shortest distance between two points. But when He took the lead, He knew delightful long cuts, up mountains and through rocky places at breakneck speeds. It was all I could do to hang on! Even though it looked like madness, He said, “Pedal!” I worried and was anxious and asked, “Where are you taking me?” He laughed and didn’t answer and I started to learn to trust. I forgot my boring life and entered into the adventure and when I’d say, “I’m scared,” He’d lean back and touch my hand. I gained love, peace, acceptance and joy; gifts to take on our journey. And we were off again. He said, “Give the gifts away. They’re extra baggage; too much weight.” So I did, to the people we met, and I found that in giving I received, and still our burden was light. I did not trust Him, at first, in control of my life. I thought He’d wreck it; but He knows bike secrets, knows how to make it lean to take sharp corners, knows how to jump to clear high rocks, knows how to fly to shorten scary passages. And I am learning to shut up and pedal in the strangest places and I’m beginning to enjoy the view and the cool breeze on my face with my delightful constant companion, Jesus. 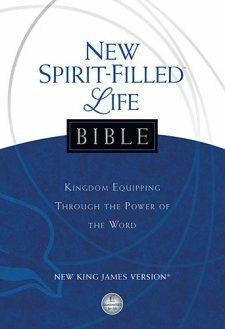 The NEW Spirit Filled Life Bible in the New King James version. The NKJV translation is a winner. It is easy to understand and suitable for devotion as well as in depth study. I reads at a 7th grade level. I favor the NKJV since it brings out the differences between the different NT manuscripts. Review of the study Bible notes and articles. Let me preface my review by saying that I am not what a lot of people would label as a “charismatic.” Technically I would consider myself a charismatic since I definitely believe in the workings of the gifts of the Holy Spirit. Yet, at the same time I’m cautious because I have seen spiritual gifts misused and abused within the church. In the words of Mark Driscoll I would classify myself as a charismatic with a seatbelt. – Kingdom Dynamics: forty-one themes and timeless topics that are reinforced throughout the Bible. – Word Wealth: Detailed, easy to understand definitions of over 550 important terms. – Practical Articles: In the back of the Bible are a number of Pentecostal/Charismatic articles on a wide range of subjects including evangelism and witnessing. Overall, the study Bible is good especially for those with a Pentecostal/Charismatic leaning. It is not a Bible I would personally choose, but not a Bible I would discourage someone to buy. I would’ve been happier with thicker pages and bigger print. **I received this Bible at no cost in exchange for a non-biased review of it’s contents by Thomas Nelson Publishers.